The 4 things to consider when buying a home in Palm Beach. 2. Plan for expected and unexpected repairs. If this is your 1st home, you are likely used to calling the landlord however there isn't one to call now. When something breaks or needs repaired, you are the one that is responsible to deal with it and pay for it. 3. Know what will happen with your property taxes next year. 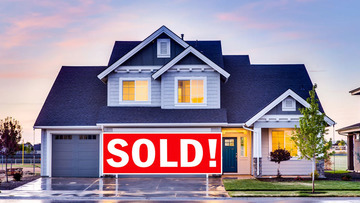 The taxes that the prior seller paid may not be the amount you will pay in the future. Why? If the property was the seller's homestead (meaning they lived there more than 6 months and a day) and they owned it for a while, the Save the Homes Benefit might have them paying below market taxes. So how do you know? We never know 100% what taxes will be however if you look at the assessed value versus the market value it will give you an indication of what to expect. If the assessed is sustantially different than the market value, you can anticipate an increase in your taxes. This is very typical however you will want to budget for this in advance. 4. Have an exit strategy before you buy. Will you plan on selling the property if you buy another home or will you keep it as a rental? The exit strategy should impact the decisions you make including the restrictions of a community, the features, the type of style of housing and the desirability.